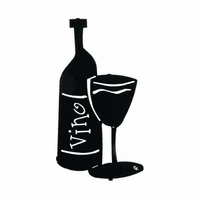 Visit any Tuscan village and you will discover that grapes are a major part of Tuscan culture. Grapes are the base for fine wine of numerous varieties, and what better combination than grapes and wine when decorating a space with unique Tuscan style? 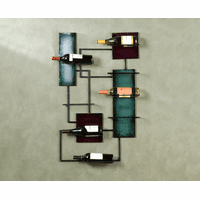 At Metal Wall Art you will discover an ever-growing collection of wine wall art, wall mounted wine racks, and unique wrought iron wall hangings embellished with a grape motif. 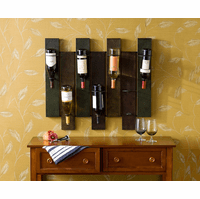 Whether you want to decorate with Tuscany wall decor, or whether you simply prefer decorating with wall wine racks and other iron art with a fruit or wine theme, you will no-doubt find just the right pieces to complete the look you want. 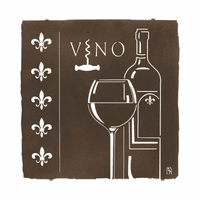 We are continually adding more works of metal art to our inventory, and it is our desire to become your favorite store for grapes and wine metal wall art and every other style under the Tuscan sun.